There are almost as many weight loss tips, tricks, and supplements out there as there are people who'd like to lose some weight. It can be difficult to navigate through all of it. So we've done the work for you, evaluated many weight loss tips and ideas, and produced this list of 18 that we feel have been proven to aid in successful, healthy weight loss. Drinking water boosts your metabolism, helping you burn more calories throughout the day. In fact, consuming 16 ounces of water helps you burn more calories for the next hour (Boschmann M1, 2003). Drinking 16 ounces of water before a meal can help you feel fuller so you consume fewer calories (Dennis EA1, 2012). For more information about how important water is for your health, read "Benefits of Drinking Water." Eating protein in the morning can set you up burn more calories throughout the day, feel fuller, and eat less. Eating eggs for breakfast has been shown to result in less calorie intake over the following 36 hours in overweight people than eating a bagel (Vander Wal JS1, 2005). Learn more about breakfast-time protein and weight loss here: "Protein for Breakfast." Drinking two cups of bone broth per day may help you lose weight faster because it is satisfying and full of nutrients while only containing about 50-60 calories per cup. Plus, it's easy to make; take a look at this delicious recipe: Easy Bone Broth. For more information about bone broth and its contribution to general health and weight loss, read our informative article, "The Benefits of Bone Broth." Use a pedometer or fitness tracker to keep track of your steps every day. Seeing how much you've walked (or not) can really motivate you to get moving and increase the calories you're burning. Learn more about what a pedometer or fitness tracker can do for you in our article, "Pedometers and Fitness Trackers: Health Tools That Work." We know that weight loss mostly comes down to this: calories in vs. calories out. You can increase the calories being burned by your body through aerobic exercises. But if you're doing a certain type of exercise only for the sake of getting the exercise done, you're way more likely to quit than to keep up with it. So choose something that you are interested in practicing or a type of exercise that you thoroughly enjoy. Think outside the box! Find more information and ideas in this article: "Aerobic Exercise: Fun Activities for Weight Loss." Coffee and green tea are both packed with health-boosting antioxidants. The caffeine in these drinks can increase your metabolism, helping you burn more calories throughout the day (Koot P1, 1995). Avoid adding empty calories like creamers and sugar, but don't feel guilty about your morning cuppa'; make it part of your weight loss routine. 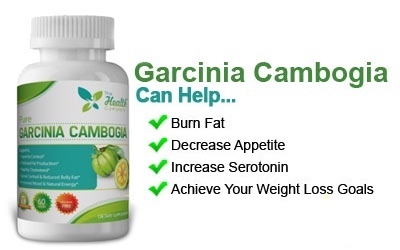 Garcinia cambogia, a fruit that grows in Southeast Asia, contains a substance called hydroxycitric acid (HCA) in its rind. HCA has been used to decrease appetite, curb cravings, increase serotonin levels to combat emotionally-based eating, and inhibit fat formation. Talk with your doctor before taking any nutritional supplements, especially if you are on any prescription or over-the-counter medications already. When looking for a Garcinia cambogia supplement, it's important to find one that doesn't contain unhealthy fillers, binders, or other added artificial ingredients. 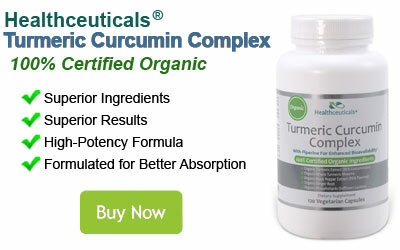 At HealthCompany.com, we recommend this product: Super Citramax®. Refined or simple carbs such as table sugar, high fructose corn syrup, white bread, and white rice are processed foods that have had most of their natural fiber, vitamins, and other nutritional value removed. Refined carbs cause a sharp increase in blood sugar followed by a compensatory spike in insulin that results in a blood sugar crash after a short period of time. This low blood sugar leads to cravings for more refined carbs. A diet high in these types of foods is linked to the development of obesity, and avoiding them will help you decrease your cravings and lose weight more easily. You can take a look at our article, "Refined Carbs: What Are They and How Do They Hinder Weight Loss?" to learn more. Keep your attention on eating when you have your meals and snacks. Eliminate distractions such as TV, electronic devices, and to-do lists as much as possible while you are eating. Focus, instead on the act of eating your food and those with whom you are sharing the meal. Focus on portion control and keeping your meals high in foods that fill you up, such as high fiber vegetables, healthy fats, and lean proteins. For more tips on how to keep your mind in the game during meal time, take a look at this helpful article: "Eating Mindfully." It's easy to indulge in unhealthy food options when you are on the go and hunger or emotions strike. If you can keep small stashes of low- or non-perishable foods in all of the areas that you frequent (your desk at work, your car, your purse or bag), you will be less likely to reach for something unhealthy. Nuts, protein bars, and dried fruit can all be used to satisfy a sweet tooth or perish a hunger pang on the go. Spicy foods containing hot peppers can decrease your appetite a little bit. But beyond that, the chemical capsaicin, which makes hot peppers hot, can also increase your body temperature a little bit, which can bump up your metabolism and help you burn more calories. You can learn more here: "Can You Lose Weight by Eating Spicy Food?" Eating more fiber can help you feel full longer, leading to less overall calorie intake. Fiber can also aid in developing healthier digestion. This means you'll absorb more nutrients, have more waste products removed from your body, and achieve overall better health in addition to easier weight loss. Add more fiber to your diet in the form of vegetables and high-quality whole grains. Find out more about fiber in our article "Fiber for Weight Loss." Sleep has powerful effects on many aspects of health that science is just now beginning to uncover. People who get less than 7 hours of sleep per night are more prone to obesity than those who sleep 7 or 8 hours (Obesity and Sleep). Without enough sleep, you may have less motivation to move around and burn calories throughout the day, be less able to resist food temptations, and there will be a disruption in the hormones that your body produces for appetite control. You can learn more about how sleep impacts weight loss as well as other aspects of your health in this article: "14 Surprising Health Benefits of Sleep." Glucomannan is a type of fiber that absorbs lots of water and stays in your stomach for a longer period of time than most other foods. 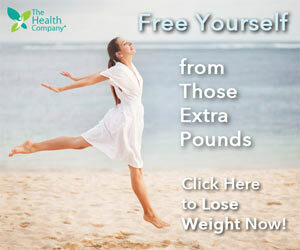 This means that you will feel full longer and take in fewer calories after you eat it (Birketvedt GS, 2005). This special fiber also feeds the healthy microbes in your digestive tract, which is important for many aspects of good health, including weight loss. Glucomannan is available as a supplement and shirataki noodles are made from it. Talk to your doctor before beginning any supplement. Glucommanan may interfere with the absorption of certain medications. Learn more in our informative article: "Glucommanan: A Different Source of Fiber." It's surprising how many calories can be packed into drinks or drink additives. Cream or sugar in your coffee or tea, soda, and fruit juice are all great ways to pack extra calories into your diet without doing much to satisfy your hunger or nourish your body. Stick to water and unsweetened tea or coffee as much as possible. One of the best ways to ensure that you're getting the healthiest, most nutritious food into your body is to stick as closely as possible to a whole food diet. This means eating 1-ingredient, unprocessed foods. Fruit, vegetables, lean meat, and eggs are all examples of whole foods. Find out more about how eating whole foods can affect your health in our informative article, "The Health Benefits of Eating Whole Foods." Stress can have an impact on your gut health, making it harder for you to lose weight. Stress can trigger emotional eating of too much and low-quality food. Practice stress reduction techniques to lower your stress and anxiety, and find ways to increase the healthy microbiota in your gut, such as eating fermented foods and avoiding processed ones and antibiotics as much as possible. You can learn more, including specific relaxation techniques and more information on healthy gut foods, in our article "Stress and Digestion." Recent studies have indicated that people with healthy gut flora may lose weight more easily than those without (Emmanuelle Le Chatelier, 2012). The health of your gut flora is influenced by many factors, including what you eat and the medications you take. You can help the healthy microbes in your gut flourish by avoiding antibiotics as much as possible (including those that may be present in meat or milk) and staying away from refined carbs. You can also ingest healthy microbes by eating fermented foods like miso, lassi, kimchi, and kefir and taking probiotics. You can read a more in-depth summary of how gut health can affect your weight loss efforts here: "Maintain a Healthy Gut for Healthy Weight Loss." Birketvedt GS, S. M. (2005, Jan. 11). Experiences with three different fiber supplements in weight reduction. Retrieved from pubmed.gov. Boschmann M1, S. J. (2003, Dec.). Water-induced thermogenesis. Retrieved from pubmed.gov. Koot P1, D. P. (1995). Comparison of changes in energy expenditure and body temperatures after caffeine consumption. Retrieved from pubmed.gov. Obesity and Sleep. (n.d.). Retrieved from National Sleep Foundation.